Yes. The possible cheating methods for this game include: Wallhacks, Aimbots, Speedhacks of all kinds, Radar Hacks, Magnet / Magic Bullets, Scripts and more. Hacks usually come in the form of mod menus that allow you to turn on or off any specific cheat in the game itself. Some Critial Ops hacks and mods can be downloaded for free, but the risk of bans is extremely high. Also there are no hacks for unlimited money, god modes, invisibility or weapon skin hacks, since this is an online game and your save is stored online on both Android and iOS. 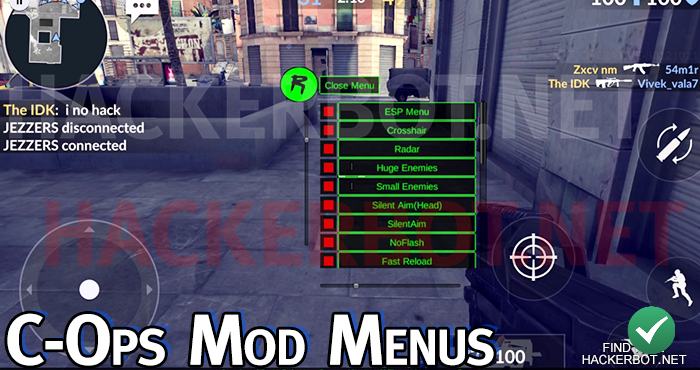 Mod menus are a selection of hacks and cheats that are implemented into the game either by using a memory editor, such as gameguardian, cheatengine ect or simply by modding the cheating options into the game itself. Since critical ops is unity based and shooters have been hacked on unity for a long time, there is quite a variety of mod menus for Critical Ops out there available for free download. A mod menu is usually used by injecting the code into the game or starting the modded game app and then playing the game, through a button one can expand the mod menu and chose whatever hacks / options one would like to use in the current match. Possible option do include and may have included: weapon spawn, auto aim, aimbot, wallhacks, radar, fast reload, no flash, spin bot, magic bullets, melee range, silent aim, huge enemy hitboxes. The auto aim is one of the most commonly found options in any Critical Ops mod. The aimbot allows you to automatically lock onto targets either visibly using your gun or silently with your gun not moving. Then the aimbot allows you to automatically shoot enemies in range at the tap of a button. 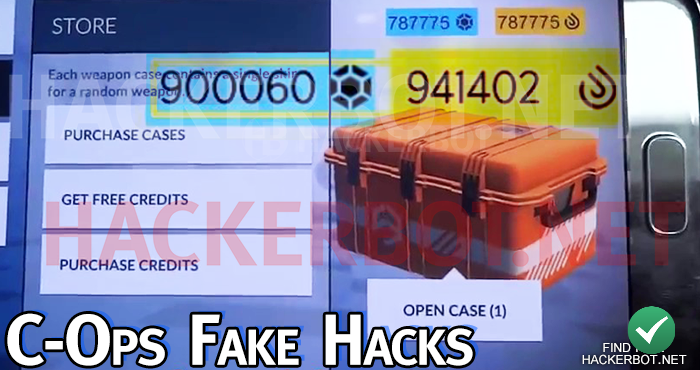 This cheat is one of the most obvious ways of getting an unfair advantage in any multiplayer shooter and the risk of getting reported when using this kind of hack is extremely high, which is why we do not recommend you use this on your main Critical Ops account. Also we do not recommend that you use any aiming bot or auto aim in ranked, since players there are extremely good at spotting anything that seems a bit fishy and reporting that player. Aimbots may be very OP, but they are also very risky to use. A good way to farm quick money and crates / cases and skins, but only if used carefully. Another popular hack included in most mods for Critical Ops that are out there for download is some kind of ESP or Extrasensory Perception. ESP allows you to see things you would usually not see in the unmodded or unhacked version of the game. For example the wallhack will show you enemies, players, weapons and bombs through walls and the radar hack will show you players on the minimap. Advances ESPs may also be able to warn you if other players are aiming at you, show you player health and weapons and instead of colored boxes may use skeletons to highlight players so you can see which way they are facing and what they are doing at all times. These tools can give you a lot of information about players on the map, allowing you to flank and avoid players easily, get more kills, plant / defuse the bomb ect. Overall a very useful tool for those who are trying to gain the edge in C-ops. Whether you are looking to avoid cheaters or cheat yourself, knowing where most the hackers are is always useful to know. Without a doubt most of the Critical Ops hackers will be found on the Android version of the game, since Android has all the interesting cheating tools readily available and a huge modding community. However, that does not mean that you cannot hack the game on iOS as well. It is certainly possible, but in general mods and especially free mods are much more present on the Android gaming platform as opposed to the Apple iOS. Apps such as GameGuardian seem to be one of the go-to tools for hackers in Critical Ops and that app is mostly developed for Android as well. On the plus side, there will be a lot less hackers on the iOS version of C-ops, so if you are looking to avoid then, you should feel right at home there. Getting things for free is awesome and the same goes for game cheating apps. However, nothing in life is truly free: Free mods will increase your risk of bans significantly and may come with ads or may even infect your phone. Be extremely aware of these risks when downloading anything advertised as a free Critical Ops mod or hack. Know the person who developed the app or script, watch the comments and replies wherever the file was posted and do so often. A mod that worked yesterday may get you banned for ever tomorrow and with your account you will lose all the time, skins, money, XP and levels, achievements, credits and cases you invested into that account. With paid downloads you will still run that risk to a certain extent, but it will be many, many times lower. You can find legitimate download sites using this tool.